Organization skills for administrative assistants are one of the most valuable skills to have as an administrative assistant. Without the ability to organize your work and your resources, you could be twisting in the wind in no time. You may have been able to muddle along back in the day, but in today’s competitive environment, you need to work any advantage in your favor. Fortunately, there are at least 9 ways to improve your organization skills as an administrative assistant without too much effort on your part. Most people take the work one day at a time, coming in ready to take on whatever happens. However, that means you are reacting to a situation rather than preparing for it in advance. The best way to make the most of your day is to prepare for it in advance. Know what you need to do for the next day and make preparations for them before you leave for the day. This not only takes the guesswork out of your workday, it might even give you some insights or ideas of how to do the work better. Part of being proactive is making a list of all the things you need to do for each day. The benefits of this are of course so you don’t forget anything. An added bonus to making a list is crossing it out. It gives you not only a concrete way to keep track of the tasks you need to do, but it motivates you to keep doing it because it gives you such a sense of satisfaction and accomplishing crossing each item on your list. This is putting all your ducks in a row, and you shoot them down one by one, metaphorically speaking. At the same time you are planning the day and making your list of tasks, you should make a schedule, giving each task a prescribed time to do each one. You can ensure you meet all your deadlines, and nothing is left by the wayside. You are more likely to get more things done, and in time, if you start early. Of course, this should reflect on the work schedule you make, but getting started early also means there are other things you can do to keep you on your toes, such as daily exercise and a good breakfast. Starting early also means you avoid stress by having plenty of time to get to work and do anything else you need to do. Most of your files are probably going to be digital, but you still need to know where everything you need is stored. Looking for lost files will take up as much of your time as looking for misplaced items. You need to make sure all your files are in its proper place. You should also have a master document of all your files, and the location of those files. Everybody has a certain time of the day when they are most productive. Some work better early in the morning, while others work best in the evening. You should schedule all your most demanding or challenging work during this time. Of course, if your business involves meeting with other people, you need to coordinate your prime time with theirs. You may think it is obvious, but you waste a lot of time dealing with interruptions to your work. This is why it is important to make a schedule. Follow the schedule and avoid distractions as much as possible. Turn off your mobile phone, close the door to your office, and avoid useless meetings. If you travel frequently, you should travel in as comfortable surroundings as you can so you can do work. You might think you are saving money by doing everything yourself. The fact is, you can save a considerable amount of time and effort by delegating tasks to the right people and focusing on core activities that will make you money. Whether you work alone, or you have employees, you want to arrange your work area so you can be more efficient. You can minimize the time and effort it takes to get things done. Even putting the photocopier next to where you keep your paper supplies can help save a few steps and trips that ultimately increase your productivity, and that of your employees. Organizational skills for administrative assistants are crucial to the success of any business. Some people are naturally organized, but even if you aren’t, you can develop them. These 9 ways can help you improve your organization skills in practical and workable ways. We want to hear from you, what are your favorite tips for better organization? Share some of your organization skills, tips, and tricks in the comments below. Learn more administrative professional skills that will launch you further into career success by attending our World Class Assistant™ course and obtaining the Certified World Class Assistant designation. The post 9 Ways to Improve Your Organization Skills for Administrative Assistants appeared first on Office Dynamics - Executive And Administrative Assistant Training. The questions keep flowing in so we will keep posting them! Ask an Admin has been a success because all of the great questions and the amazing answers that administrative assistants and executive assistants have been submitting. My 2019 development goal is time management. I’ve been studying this for a while and, although I’ve compiled many good tips, many don’t apply to me because of my admin role. Our jobs require keeping other people on track, plus we don’t have total control of our day. What works for you? Any best practices you can share? Thanks! Lynda poses a great question. Time is something we always need more of and when we have more of it, it is still not enough! How can we get Lynda back on track and take a little more control of her day? The post Time Management for Administrative Assistants – Ask an Admin appeared first on Executive And Administrative Assistant Training - Office Dynamics. Welcome to another question for Ask an Admin. This is where the administrative assistant and executive assistant can submit any question they have and their peers will answer the question based on their previous experience. We believe that there are many different ways to approach problems, difficult tasks, and situations so we thought this would be a great way to provide you a place to share your input as well as receive input from others. So, executive assistants and administrative assistants from around the world, let’s help each other out! How do you balance home life and work life? I find myself overwhelmed at times meeting the needs and requests of my CIO and 4 Directors as the only admin for a busy utility, that oftentimes when I come home to my children and husband I feel like they get the leftovers. Between texts from my kids and my management team, constant emails, and calls, I have no energy left and am very short with my family, because I have had constant demands all day long. I feel like a mother at work and am beginning to resent my role. Another great question! This is something that not only administrative assistants struggle with, but I think so many people struggle with a home life and work life balance! If we had 29 hours in the day it still wouldn’t be enough…so, how do we find that work/life balance? 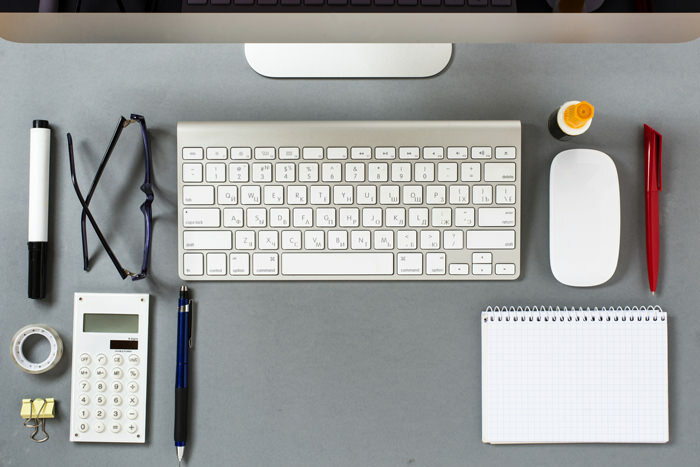 The post How to Balance Life as an Administrative Assistant? – Ask an Admin appeared first on Office Dynamics. 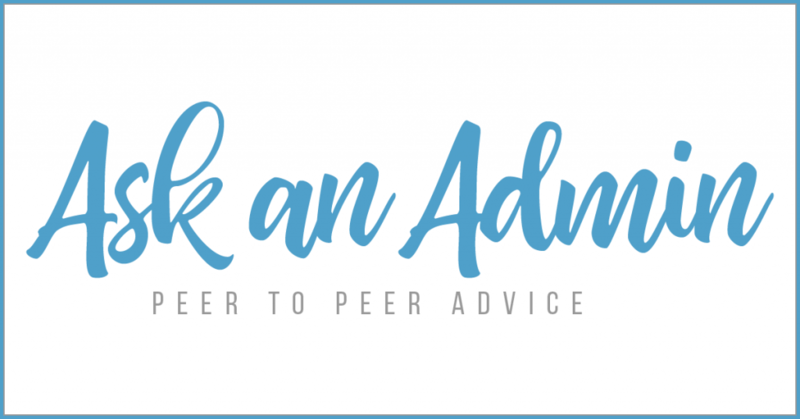 Welcome to another question for Ask an Admin – Admin to Admin Advice. This is where you submit the question and your peers answer your question. We believe that there are many different ways to approach problems, difficult tasks, and situations so we thought this would be a great way to provide you a place to share your input as well as receive input from others. No matter how fast I work or how many hours it seems that I put in, I am unable to get in front of my assignments. I am always ensuring a “fire” doesn’t start and I am unable to work methodically on one or all of my projects. Any advice? Interesting question. How do you handle a lot of assignments/tasks in a methodical way while ensuring “fires” don’t start or spread? I know what Joan Burge would say! NO MULTI-TASKING. Well, I think we all know that Joan would say that…but what advice would you give Rachel? It’s your turn to give your advice, tips, tricks, and anything else you have to offer up. Place your comments or advice in the comment section below. The post What is a Good Work Balance? – Ask an Admin appeared first on Office Dynamics.